The best HACCP coding system has been developed by chefs. Simple, efficient and hygienic. Simple and accurate coding. 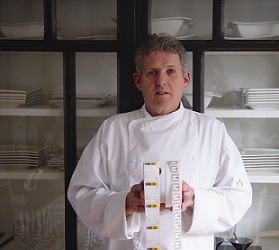 Paul Duijnstee has have more than 30 years experiance in the Hotel & Restaurant business as owner, chef and employee. As many other members of the white brigade, Paul had to deal with the inefficiency of the coding systems. “I simply thought that certain things could be improved. 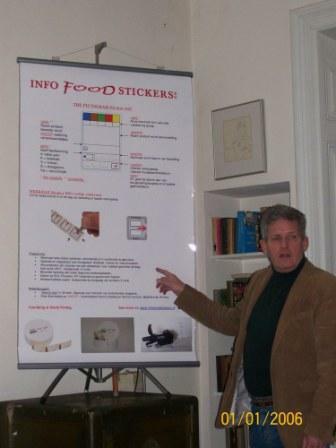 This resulted in the pictogram system in 2005 which I developed supported by the knowledge and experience of other chefs and kitchen experts,” said Paul Duijnstee. Most other coding systems consist of more than 10 HACCP labels use too many unnecessary products resulting in complicated, timeconsuming and expensive procedures for their use. 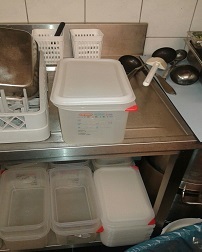 From 1996 is the most common complain the unwanted leaving glue and paper residue on the containers and disposables. So it was important for us to use materials that are suitable for a kitchen anvironment. 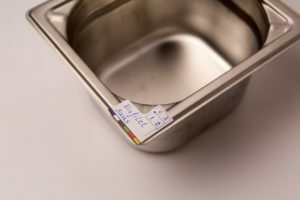 The glue of our labels dissolves completely at 80° Celcius making it easy to remove the label after the dishwashing process and leaving no unwanted glue and paper residue behind on your disposables and / or storage- containers.. 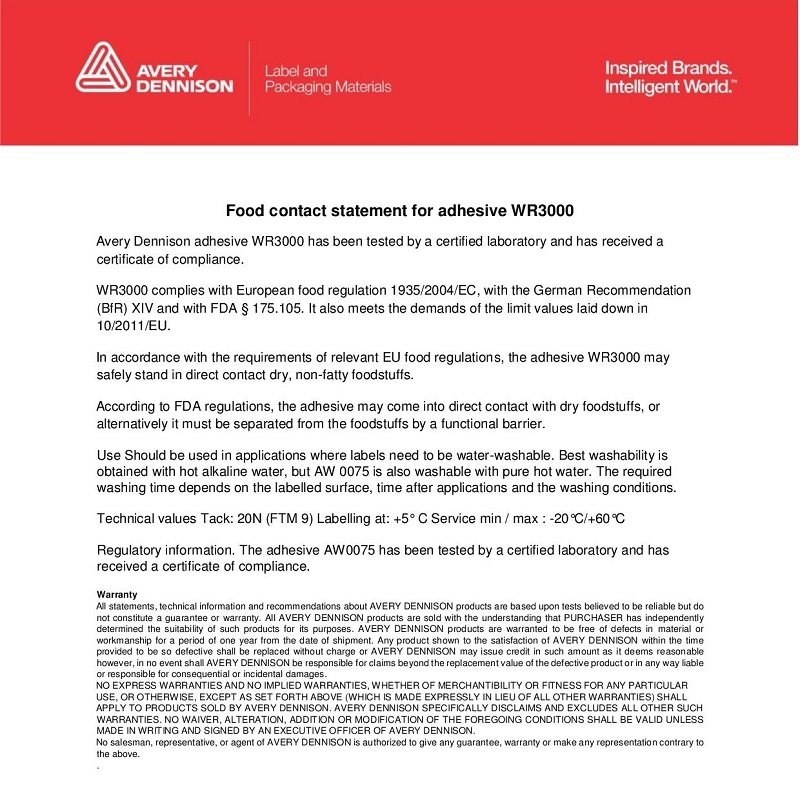 This results in a significant reduction of the cross-contamination risk. 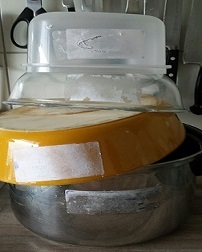 It is important that the label be removed immediately after the washing process and not cool back and stick again on the container. Our paper is resistant against condense influence, so when taking a container out of the freezer you can still read the written text and even add additional text. The chefs of our organisation developed and tested the label systems themselves on the kitchen floor. 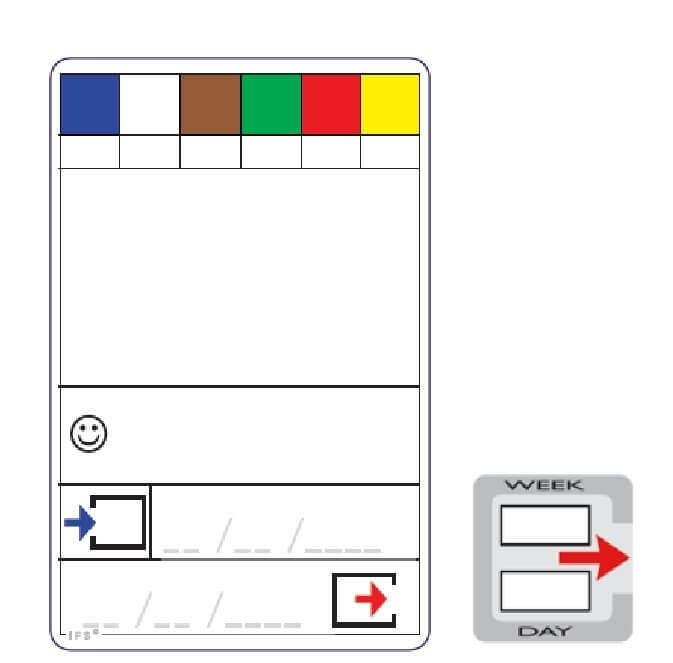 Our system has only two types of labels ‘The Pictogram Label4all & The Week/Day fifo label. 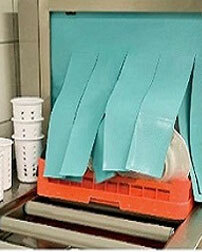 You can use for products in frigde, freezer, dry-store and vacuum bags. Example: Completely filled in label is for the refridgerator. When laving the lower date line open the product label is prepared for the freezer. With the Week/Day-fifo-label you note till when the product can used. 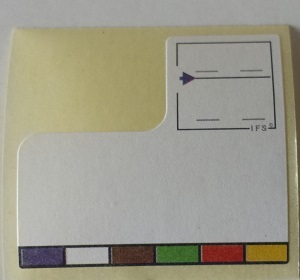 When the EU HACCP rule and legislation imposes the obligation to provide daily products in storage of allergen icons you are prepared with Pictogramlabel4all with allergenic icons of the SHO. If you wish to work with this label earlier, please contact us by email. Workshop: ‘HACCP-coding Now and in the Future’ For teachers, pupils and kitchen staff. Ask for the conditions.